Jessica was born and raised in Lawrence, Kansas. She knew early on that she wanted to be a Physical Therapist that worked with children. After being raised with 2 foster sisters that were both disabled she had a strong desire to always help children develop and improve their function the best they could. During undergraduate school, she completed volunteer and internships in pediatrics and then continued working with kids during her graduate school internships. Her passion to see children do the best they can and succeed in the world drives her practice daily. She is learning now more on orthotics and bracing for children to help improve their gait and balance while learning gross motor skills. 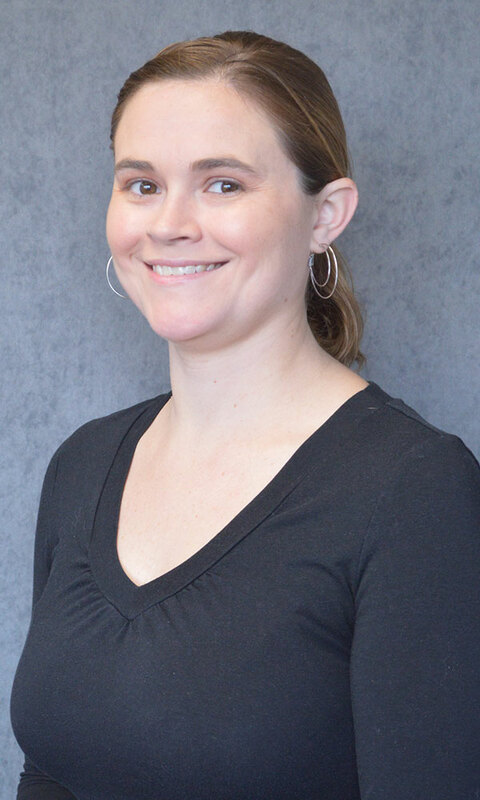 Jessica has worked in a variety of pediatric settings including clinic, school, home, and daycare. She enjoys working with babies all the way to up to teenagers. She has worked the last 4 years with birth to 3-year-olds with Missouri First Steps. She focuses on developmental delay, torticollis, gait abnormalities and orthotics. She enjoys learning more about disorders such as autism, cerebral palsy, downs syndrome, and many more unique diagnoses. She is married with 3 children and lives in Olathe Kansas. Being born and raised in Lawrence she is a loyal KU fan, while her husband is a K-state graduate so they have a split household! !